Dev Blog #9 – Why is Last Regiment not fun? Is this fun? Do we like this? Are we happy with this? Lately we’ve been receiving feedback from the people playtesting and those who saw the progress on stream that the game doesn’t seem to be interesting or enjoyable. When you get to that point, you have to stop and ask why. This is very concerning, and so we gathered the team for a ‘come to God’ meeting on what we should do about it. There were two options: 1) cancel the project, or 2) barrel down to what those reasons are and find out how to fix them in a systematic way. This is a decision that we often have to make when developing a game, and for now we chose to keep fighting and go with the second option. There is no turnaround event. This is a big problem, and it was similar to what we encountered with the early versions of Legends of Callasia, and solved later on by adding cards as a feature. You knew relatively early in the game whether you were going to win or lose. For the players to have fun, everyone should still have the chance to win even when it’s pretty close to the end of the game. During our games, it’s clear what’s going to happen next, and you just keep building and summoning units until someone wins. 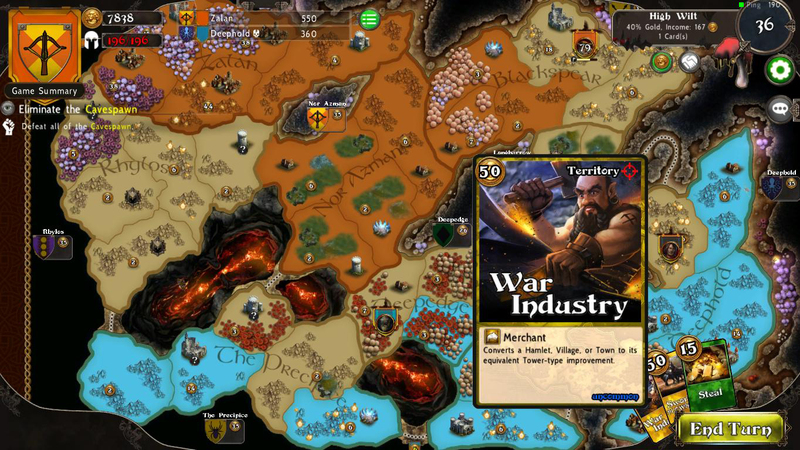 In Legends of Callasia, cards can turn the tides of battle – such as War Industry to convert you or your enemy’s structures; or even a Territorial Oppression card, which can be used to occupy structures and cities, in one turn. There are so many things to think about. The process of figuring out what the different options are and understanding them is time-consuming. Right now, 45 minutes of gameplay seems long, though there are several games which take longer but are still fun. It’s tedious not because you have to think too much, but because of the constant struggle to get more information. For example, when you have a unit with a long list of abilities, you’d have to click each ability one by one to know what it does. And there are several factions available too! While it’s true that playing the game enough would help you know what all these abilities are, it does provide a steep learning curve for newer players, and it might be a better decision to just have one or two *defining* abilities for each unit in the game. The abilities of both the unit and the structure it is occupying can be overwhelming. There is no midterm goal. Currently there are clear short-term goals (summon this unit, capture this building) and long-term goals (destroy all enemies, take over everything). 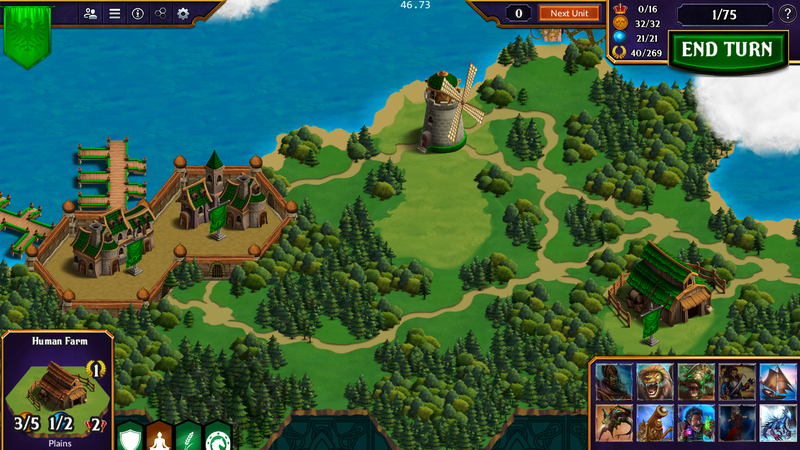 This lack of midterm goals was also a problem in the early version of Legends of Callasia, and our solution was to create the concept of kingdoms (a group of territories) which you can capture completely for more resources and points. This would be difficult to do in Last Regiment especially with its hex-based maps, and it doesn’t really match what we’re trying to do. So how do we create something that’s visual and gives players a sense of accomplishment? There is no midterm goal of conquering kingdoms, or building your own structures, which are already pre-made in the map. There is low sense of player agency in not allowing you to build your own things. Right now it’s dependent on the person who created the made the map. If there’s a farm on a certain hex tile, you can’t do anything about it. Players do not have the power to define how their structures are placed, and that would have been a strategic decision that would contribute in making the game more fun. Another source of confusion is not knowing when you can summon units, which is only allowed when you have occupied all hexes of a city. Players would assume it’s a bug when they cannot build a unit – it’s something that is not currently explained when you first start playing. What can we do to fix these? We thought we’d first address the issue of building – maybe if we solve this, we’ll be able to solve all the other problems we mentioned. Instead of having premade structures, we can instead have builder units and upgradeable spawn points for buildings. It would give players a larger sense of agency so they can start defining how they want their world to be built. This would also address the lack of midterm goals. Right now we’re looking at making the heroes of each faction have the Build ability in order to ensure that each player has a builder and would be able to build structures. Simplify stuff. We need to have units with fewer abilities so that players have would have less to think about and instead spend more time making more strategic decisions. It should be clear enough what units do, where they can summon them, and how they can win the game. In terms of spawn points, we will be limiting the classes of structures by tying them with the races, instead of the factions where the lore is based. One of things we’ll also do is to remove docks, and instead allow ships or water-based units to be summoned on spawn points next to the water. The Temple of Death was designed to look like an Orcish religious element, composed of corpses powered by death magic and fungus. Aside from these, we’ll have to continue balancing the game. We realized that after ending the turn, your resources are immediately replenished and you can continue to summon more units on the next turn, which makes the game become less fun. In line with simplifying the game, we’d like to have fewer units with more interesting choices – like in Legends of Callasia with only four heroes per game making it nice, snappy, and strategic. 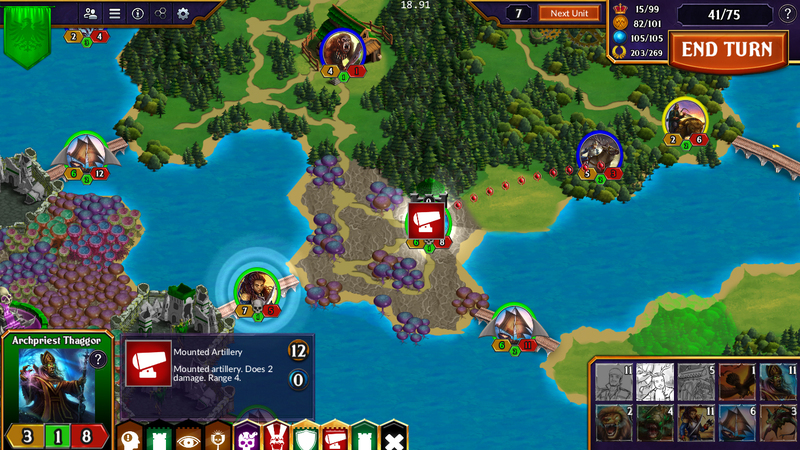 In Last Regiment, you are pressured to move and build units quickly, which makes it less tactical. What we plan to do is to adjust summon costs for units (some expensive, some cheaper) as well as increasing the resources cap, but decreasing the rate at which they fill. This would hopefully motivate players to do some other actions to get their resources up, and afterwards make the strategic action to attack or use their abilities. We also want to create more spells that are buff-based as opposed to just doing damage, to make it less about bombarding with lots of units, but more of using specialized units intelligently. Hopefully by next week we’ll have progress for some of this stuff and playtest if they work. We’ll also create at least one new bigger map and bring in more players to test. We’ve also been doing some changes to the art, so you can also look forward to that! Sounds like a good step forward. The battle mechanics are in place, it truly just lacks the fun part (which is always the hardest thing with game dev).